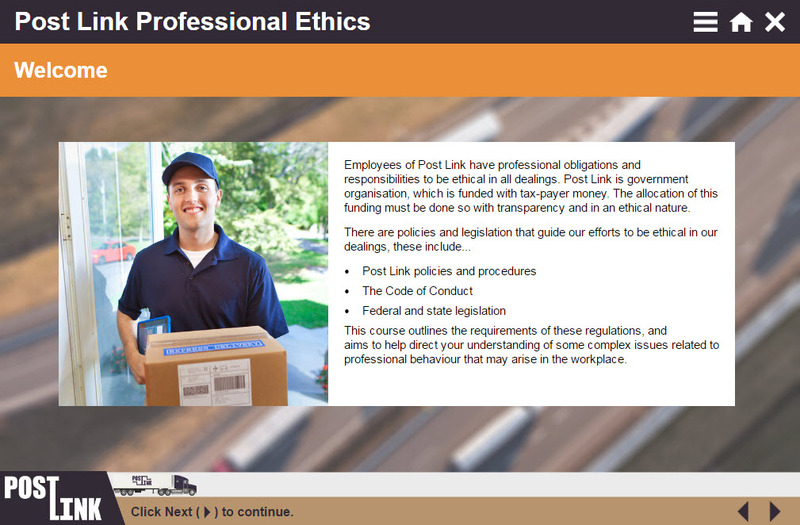 This course was designed to complement the Code of Conduct for a large transport company. 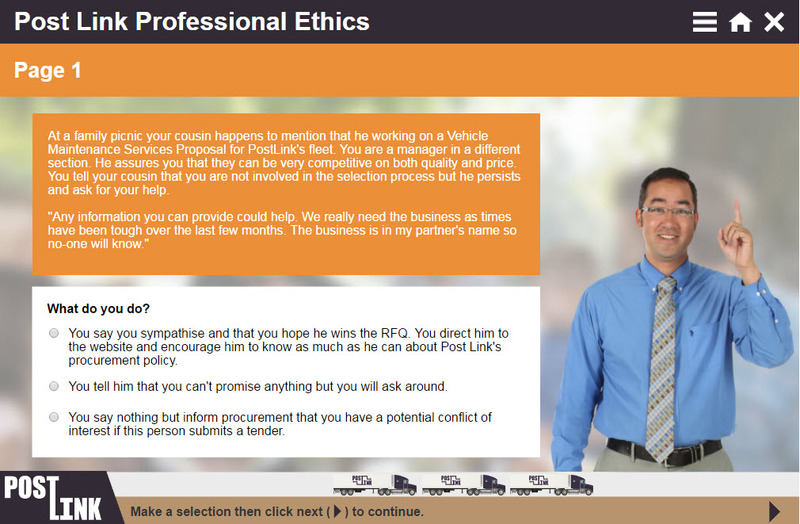 The aim was to ensure that users understood the content of the Code of Conduct, and could use it to make ethical decisions in the work place. 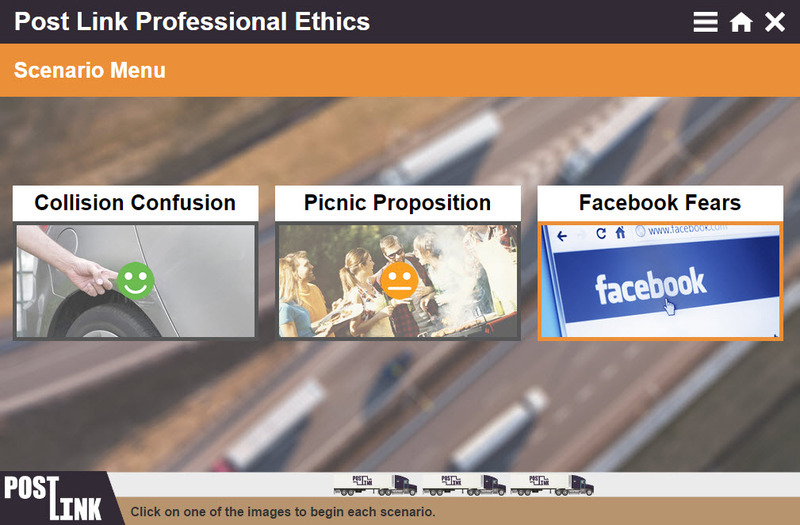 The course features a ‘branching scenario’ structure, that changes as the user makes decisions about how they would respond to each scenario. 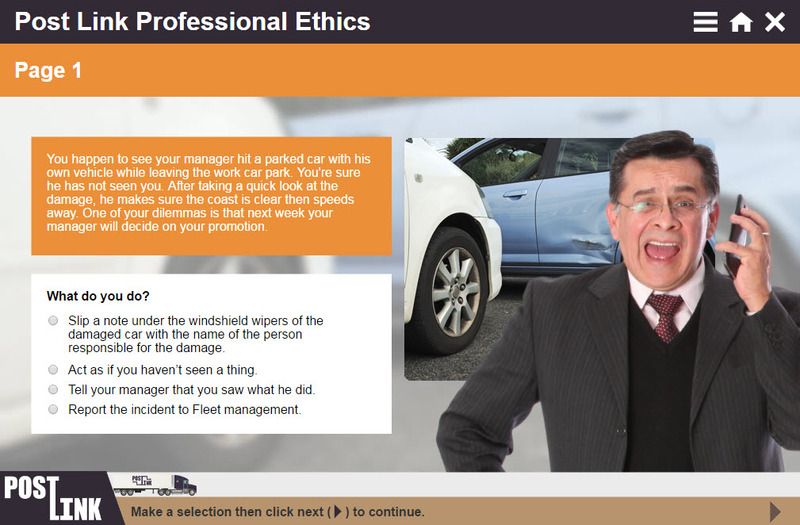 The characters that are used throughout the course make the scenarios more ‘real’, and get the users more focused and thinking about making ethical decisions. The user is given a final score at the end of the module, based on the decisions they made. Guiding users through hiding certain navigation buttons on different screens.